One of the first stencils I designed for StencilGirl was the Spider Web stencil. I’m not sure what that says although I’m betting I was prepping for Halloween and thinking how I needed a web stencil. 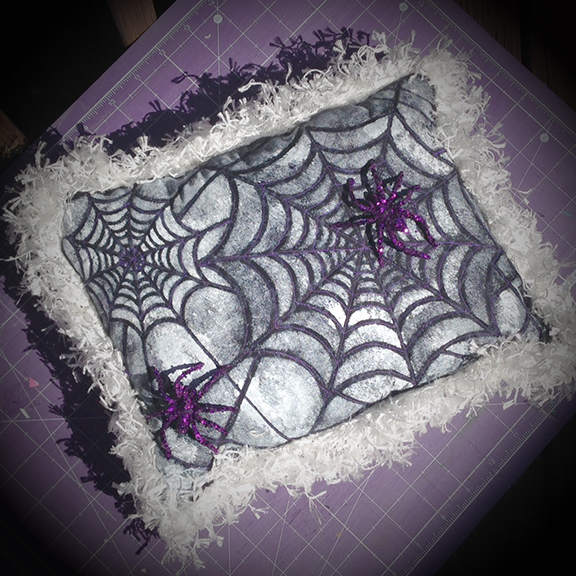 I’ve used it for many of my Halloween projects including this pillow. If you’re interested in making your own, the complete tutorial can be found over on the StencilGirl blog. What projects will you be creating this fall?